Provide comfort for the family of Marion Smith with a meaningful gesture of sympathy. Marion Smith, age 60, passed away peacefully in the comfort of her home on February 4th, 2019. Born July 11th, 1958 in Toronto Ontario, she was the daughter of the late Marie Sheets and the late Richard Smith. 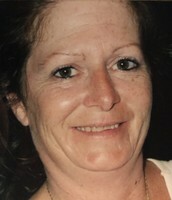 She was loving Mother to her 4 children, Kris Lock, Dusty Lock, April Hiles and Lisa-Marie Lock. Marion was a loving mother, sister, and Nana to her many adored grandchildren. She was a good friend to many. She had fire for spirit and such a love for laughter. She was kindhearted and always eager to help where she was needed. She carried a strength that many admired. She will be missed by those who had the pleasure to have her in their lives. There will be Celebration of Life on February 14th from 12-3pm at the Storrington Lions Club. All friends and Family of Marion(Mamie) are welcome. To send flowers in memory of Marion Smith , please visit our Heartfelt Sympathies Store. A Celebration of Life will be held from 12pm until 3pm. We encourage you to share your most beloved memories of Marion here, so that the family and other loved ones can always see it. You can upload cherished photographs, or share your favorite stories, and can even comment on those shared by others. Provide comfort for the family of Marion Smith by sending flowers.